Vertically, on the wall, nestled into her alternating floating shelves. The shelf arrangement is noteworthy as well. She has this rather useless nook in her long front entry hall. 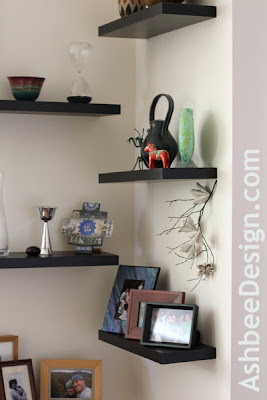 By hanging short floating shelves in an alternating arrangement she created a great display space. 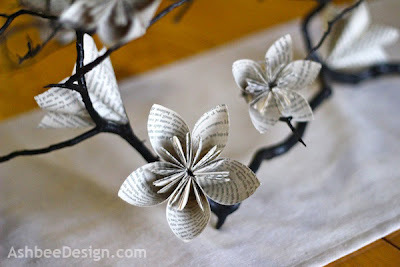 And now my book page flowers are part of it!. Here is a close-up of the flowers from my original post. 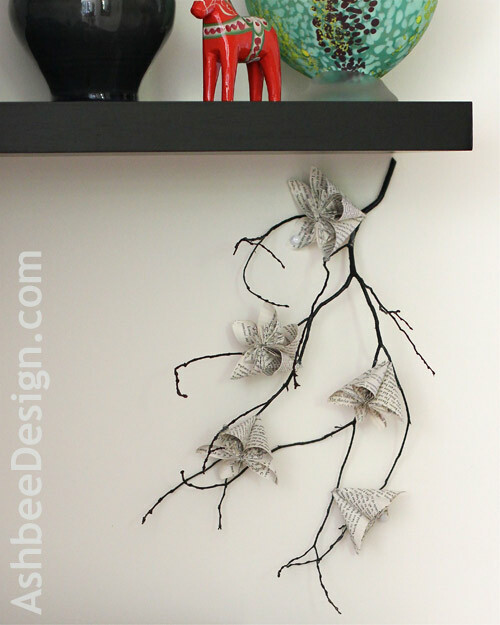 Apply the tutorial to a much smaller branch and it can be used to add interest to many a corner!